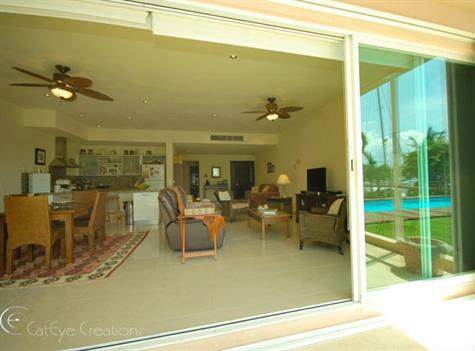 A wonderful and spacious ground floor unit on the Marina of Puerto Aventuras, completely furnished, it has an easy access to the swimming pool. The condo has a very spacious living room and a fully equipped kitchen, 2 bedroom and 2 and half bathrooms. The finishing is very good quality and the style of the condominium is modern mexican. Walking distance to the beach, reserved parking, very nice common area with garden and lovely swimming pool, and boat facilities.